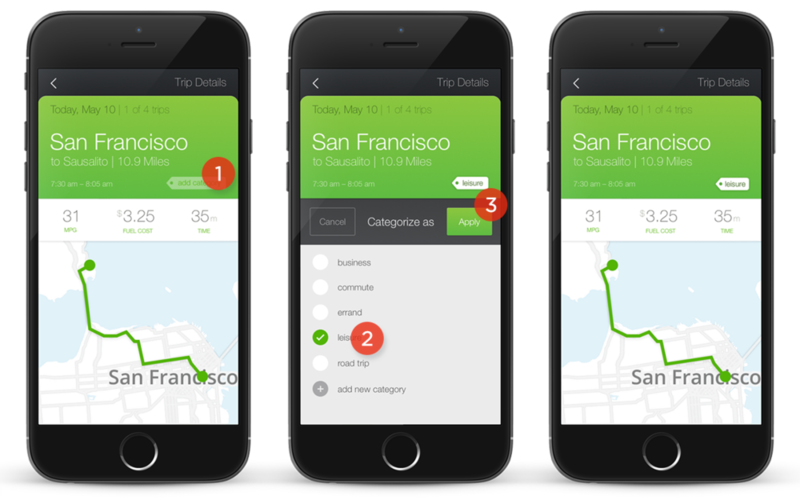 Organizing and understanding your trips just got a whole lot more awesome. 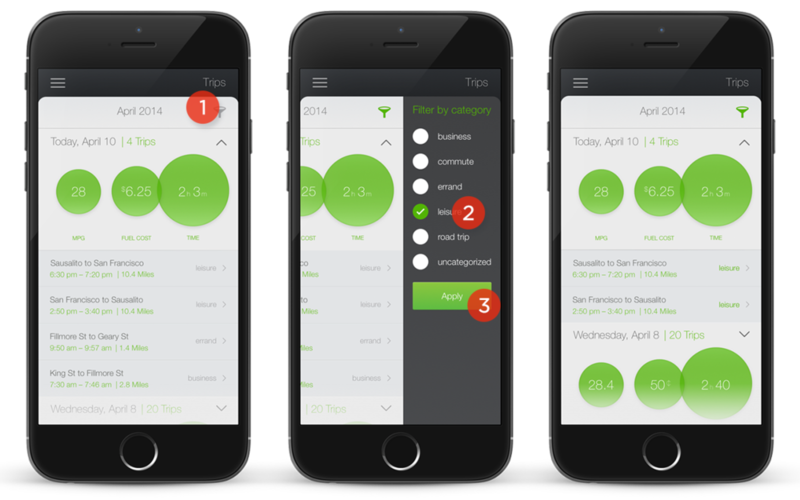 We’re happy to introduce NEW Trip features: categories & labels! The names for your start and end points can now be customized to whatever you’d like – e.g. Home, Work, Gym. Gone are vague city locations – you can now label your trip origins and destinations to words that make more sense to you! After all, we live to make your driving life easier! 2. Type in your custom label for the location. When you first start, there won’t be any choices, however, In the future, you’ll be able to choose from the list you’ve built. There is no maximum on how many locations you can store. 3. Tap on “Apply” to set the label for that place. Going forward, the Metromile app will remember these named locations and automatically label for you. You can edit at any time (also under Settings), and the app will adjust to these new changes. Not all trips are created equal right? Some are for work while others are for fun. You can tag your trips with a category and filter just for these specific names. We supply 5 categories to start: Business, Commute, Errand, Leisure, Road Trip. You can change these any time to categories that help you organize all your trips or add completely new categories. Maybe you’ll want Fitness, Volunteering, or Carpool? 2. Choose one of the pre-existing categories by tapping on the white circle. Or add your own by tapping on “add new category” at the bottom of the list. You can also edit your choices from Settings. 3. Hit “Apply” and the category will be added for that individual trip. 1. To filter trips, tap on the gray funnel icon at the top of the Trips screen. 3. Tap “Apply” at the bottom of the list or just tap outside of the menu. The funnel icon turns green when a filter is applied. ENJOY! 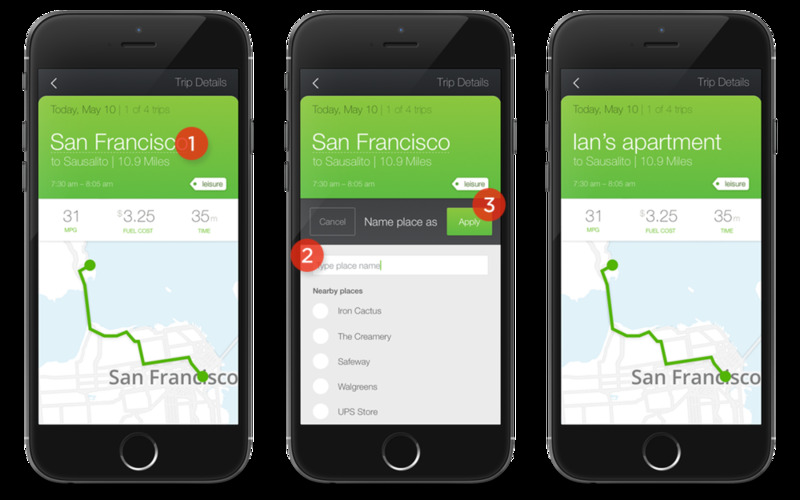 We hope these new features help you plan and optimize your trips better. Maybe you’ll notice some low-mileage trips and decide to bike or walk instead. Or you’ll finally figure out the best time to leave for work in the morning to avoid sitting in traffic! We’d love to hear about your experiences. Let us know what you think! Feel free to leave comments or email us at appfeedback@metromile.com. Is this feature rolled out to Android yet? I just installed the app and don’t see any underlined city names. I received an email today announcing these new features, and there is no mention that they not functional on Android. That would be useful information in the announcement email since you were asked about it 3 weeks ago. What about the desktop browser version, is there going to be availability there?